With its quest for more review by the Ninth Circuit, the Trump administration is putting corporate profit ahead of the health of children, families and farmworkers. The evidence is indisputable: A class of pesticides known as organophosphates — widely used on crops like corn, soybeans and fruits — are so toxic to human health that they must be banned. So says a paper published recently in the peer-reviewed journal, PLOS Medicine. The eight authors concluded that no level of exposure by pregnant women is safe, as organophosphates have been found to cause serious brain damage in babies. Children suffer from reduced IQ, autism, attention disorders and other learning disabilities as a result. The risks to Washington residents are clear. In fact, just last year the state prosecutor joined five counterparts from New York, Maryland, Vermont, Massachusetts and the District of Columbia in a lawsuit to force the Environmental Protection Agency to ban the use of chlorpyrifos on food. One of the pesticides in the organophosphates family, it is used extensively on fruits and vegetables, including apples and grapes. Apples are Washington’s top crop, accounting for 70 percent of all U.S. production, and the state is the country’s second-biggest producer of grapes. This report — new in scope but not in substance — validates once again what mothers like Claudia Angulo, a California agricultural worker, have been saying for years. Claudia’s 12-year-old son, Isaac, was diagnosed with intellectual disabilities, including attention deficit hyperactivity disorder. She was exposed to pesticides while working in a produce factory when she was pregnant with Isaac. Claudia learned that Isaac had traces of 50 different pesticides. The one with the highest concentration was chlorpyrifos. In August, the United States Court of Appeals for the Ninth Circuit sided with Earthjustice and its clients and ordered the Environmental Protection Agency to ban its use. But most important, the court sided with science and public health when it gave the government two months to get chlorpyrifos out of our food. And just last week, the state of California recommended new restrictions on the use of chlorpyrifos. The EPA, however, is appealing the Ninth Circuit’s decision. Although the risks of these pesticides are extreme for babies and children, they are not the only ones in harm’s way. Farmworkers everywhere are routinely sickened with nausea and dizziness from chlorpyrifos exposure. In the worst cases, acute poisonings can cause convulsions, respiratory paralysis, and even death. Families are at risk, too, because pesticides like chlorpyrifos may cling to clothes and come home with workers at the end of a long day. An October 2017 study by researchers from the University of Washington School of Public Health found that children in farmworker families in the Yakima Valley are exposed to higher amounts of harmful pesticides from dust in the home than other children. 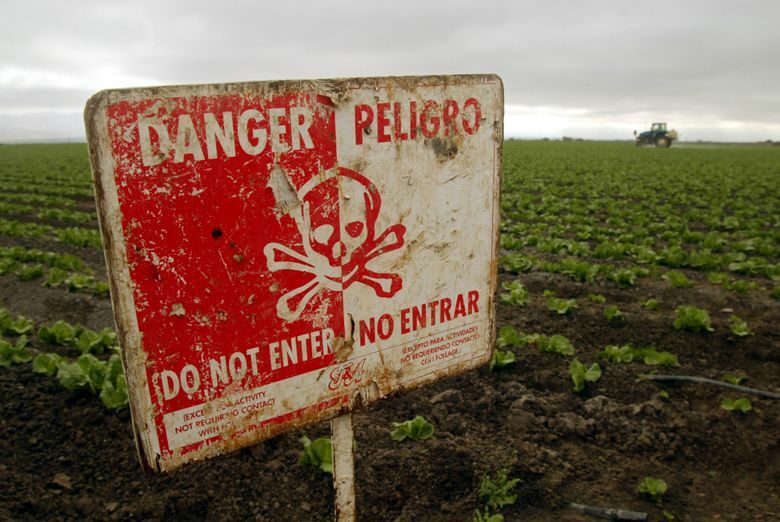 Based on findings made by the EPA’s own scientists, the Obama administration proposed banning all use of chlorpyrifos on food crops. But under then-Administrator Scott Pruitt, the Trump EPA delayed that proposal after intense lobbying by multinational corporations like DowDuPont, the leading manufacturer of chlorpyrifos. Pruitt called the science confirming the dangers posed by chlorpyrifos “unresolved,” despite two decades of peer-reviewed studies showing risks to children, and said he wanted to study for another five years before putting protections in place. With its quest for more review by the Ninth Circuit, the Trump administration is putting corporate profit ahead of the health of children, families and farmworkers. Nevertheless, the science remains overwhelming and irrefutable. Organophosphates, including chlorpyrifos, are simply too harmful to workers, mothers and children to allow their continued use. If the Trump administration cared more for the American people than the incomes of the largest corporations in the world, they would swiftly apply the law, ban chlorpyrifos and start phasing out the other organophosphates. It’s just that simple. Any other response is callous and, frankly, unconscionable. Patti Goldman is a managing attorney at Earthjustice in Seattle.